If you’ve been following the latest Super Smash Bros. Ultimate news, you’d have probably heard about the DLC fighter codenamed Brave that many speculate to be Dragon Quest’s Erdrick. Today Shinya Kumazaki, game supervisor for Super Smash Bros. Ultimate, posted an interesting photo on his personal Instagram. 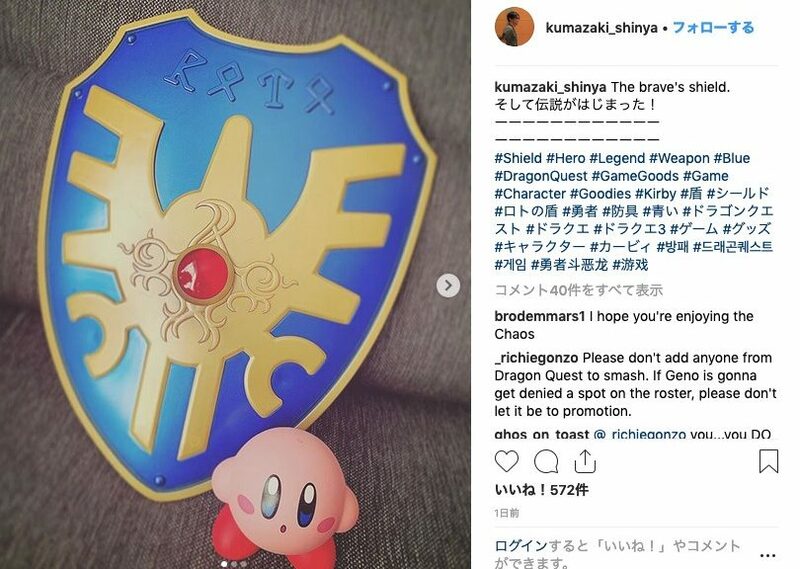 Kumazaki uploaded a photo of Kirby and Erdrick’s shield. Not only that, he referred to the shield as “Brave’s Shield”.